For some reason, a lot of people just aren’t sure what my name means. Consider this the definitive history of the name 'SUNSfan', for those that care to know. I was never very good at coming up with in-game names. Every time I would start playing a new game online I would come up with a new nickname, and I would always want to change it after a couple of months. After enough years of this, I was fed up. I needed to sit down and think of something that I could stick with. Something that would be important to me for years to come. After scribbling down horrible option after horrible option on a notebook page, I finally found what I was looking for: SUNSfan. So what does SUNSfan actually mean, and why did I choose it? Honestly, it’s about as simple an explanation as it gets. I'm a Suns fan. No, not the Sun that we are currently revolving around (unless you are a flat-earther… then, I actually have no idea what you believe). It means I am a fan of the Phoenix Suns. That's a team in the NBA. 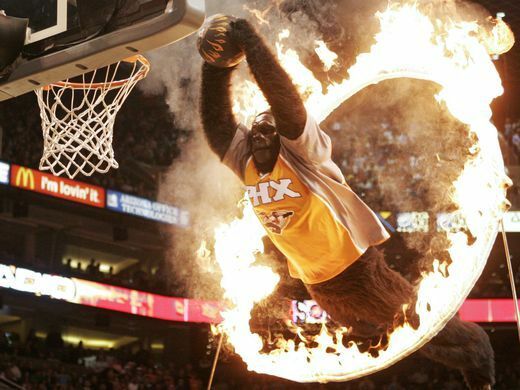 You know…professional basketball. Bouncy-ball into hoop thing. I joke that I was brainwashed as a kid to love the Suns, but it's actually kind of true. My dad had been a season ticket-holder since the inaugural year of 1968, and he started taking me to Suns games as a kid. There was no way he was going to let me be a fan of any other team. So there you have it. I picked the name SUNSfan for myself because I knew I would always be one. In failure and success alike. I’ve learned to be patient with success. You see, the Suns have yet to win a championship. This is despite being the the fourth most successful franchise in terms of wins/losses in the history of the NBA. Aside from the last few years, they have been consistently good. Just never the best. It has helped me be a loyal person, maybe to a fault. Growing up in Arizona, kids here would constantly tease me for liking the Suns over teams with more championships. In their own home state! I've learned it's always easy to be a fair-weather fan and root for the favorites. But what's the point of that? How can you feel attached to something so passionately, only to throw it aside when they are no longer meeting your standards? It made me appreciate loyalty that doesn’t come with conditions. Because when success is finally achieved, you’ll know you were there for the long haul. 3. It makes me appreciate my family. I have many memories of being in Section 102-103, Row 10, Seat 14 during some amazing times in Suns history with my Dad. 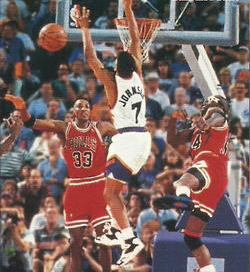 In fact, my most vivid memory was during the 1993 Finals against Michael Jordan's Chicago Bulls. I was there, standing on that very seat as a 7 year old boy for Game 6. When Horace Grant blocked Kevin Johnson, and the Bulls celebrated their championship, I cried my eyes out. The heartbreak is still with me. 4. It has made me F!@#!$! HATE Robert Horry and Tim Donaghy and... ok ok, let's not get carried away. I've taken these life concepts (the first three anyway) and done my best to apply them to the projects I work on, from the early days of DotaCinema to the inception of MoonduckTV, and with the creation of Digital Chaos. 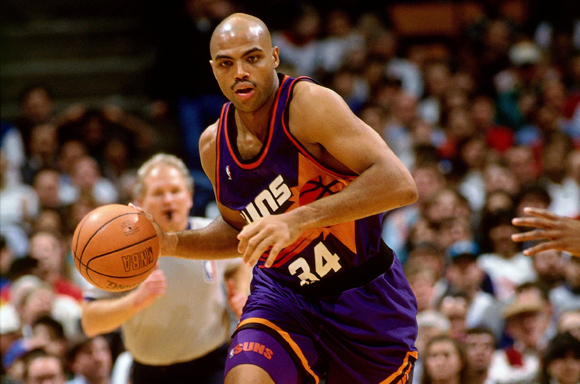 As you probably already know, the Digital Chaos brand was heavily inspired by the Suns. I picked that purple and orange for a reason! It would be my dream to work with them someday, especially considering every other NBA team under the sun (no pun intended) is getting into esports. It might seem like a longshot but hey, I’m a Suns fan. If it doesn’t happen today, there is always tomorrow. That’s the long story of the history of my super straight-forward name. I know many of you never knew what it meant. Hope you enjoyed.